Ketu bring all negative energy in your life, and you need Vedic astrology’s time-tested solutions of negative energy removal to stay positive. Negative Energies Removal – Trust Vedic Astrology And Bring Back Positivity In Your Life. Vision is the predominant sense for humans. We tend to question the existence of everything that’s not visible. Energies exist all around you – and they can be positive as well as negative. I am sure there have been times when you have felt negative energy in persons from your work, family, social circle, or from someone you just meant. I am equally certain there are people in your life who give you a lot of positivity. Why does this happen? 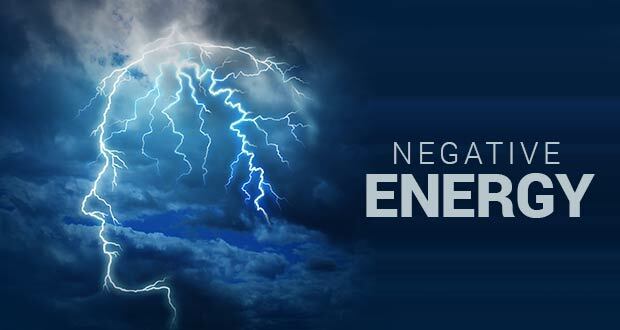 What are the symptoms of negative energy in home? Don’t you want to know the answers that astrology can provide you? How do I cleanse myself spiritually? How to detect negative energy in a person? I will guide you, help you understand more about energies, and empower you to remove all negative energies from your life. Although you don’t know for certain, you start getting hints and impressions from within yourself when you’re under the influence of negative energy. Before we talk about negative energy removal, let me help you identify negative energy with certainty. Here are some questions for you. Don’t hesitate, answer them honestly. Acknowledging there’s a problem is the first step to a solution. Do you feel a lot of anger on everyone (or on a single person)? Do you end up using abusive language and regret it later? Do you feel a sense of inertia, inability to do physical work, and extreme laziness? Do you find negative thoughts and anxieties bothering you all day long? Do you sense bad odors around yourself? Do you get a sense of insecurity, lack of physical safety, and fear in general? Do you feel fearful of even small events (such as a loved one not picking up your phone)? Do you feel that even though everything is normal, something will happen that will suddenly make everything bad for you? All these questions are linked to signs of negative energy in house, or around you. Ketu is a very mysterious planet, and not even highly skilled astrologers can understand the mystique of Ketu completely. You should never trust free online advice on how to overcome negative energy, or any free astrology apps for such delicate matters? You need someone who will study your horoscope in great detail and help you understand how Ketu might be causing negativity around you. Ketu is very different from Rahu. Think of Rahu as the head, which is easy to read and assess, and think of Ketu is the torso (below the head), which is very complex to understand. There are several other details related to how Ketu can explain the sense of negativity you are experiencing, but it’s not possible to go into those details here. I will be happy to offer you personal consultation on the subject. How Do You Cleanse Yourself Of Negative Energy? Negative energy will distance you from everything good in life. You will feel like not going to a temple (or any religious place), won’t feel like doing your work, and will be disinterested in good things. Take a bowl and fill it with oil. Take a cotton wick, dip it in the oil, and set it alight from one end. Then, take it and stick it on a wall. If it doesn’t stick, it means there’s minimal or no negative energy around you. If it sticks, it means there’s negative energy, and because of this method, you will get immediate relief. Take a lemon and keep it under your pillow; in the morning, after waking up, slice the lemon into 4 equal parts and throw them in 4 directions, or place the lemon in the middle of a 4-way track. Force yourself and become engaged in good work; find some positivity, and then maximize it. You have to force yourself for this. Take a bath every day, even if you don’t feel like it. In this way, there are several time-tested methods of overcoming negative energy via astrology. For more information on how you can benefit from this, get in touch with me. You can invest complete faith in the methods I will tell you in my detailed consultation as thousands of people (some of them even came back from depression) have seen great results from the same. I will also tell you what stone keeps negative energy away? Why let negativity spoil your life, when Vedic astrology can solve your problems in such a quick time? Get in touch with me, don’t hesitate to tell what you feel, and I will do my best to solve your problems.